United States of America: Spanierman Gallery, 1998. 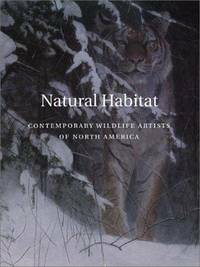 This 104-page catalogue with over fifty color plates, features images of world wildlife subjects by thirty-six of the foremost American and Canadian artists in the field including Douglas Allen, Robert Bateman, Carel Brest can Kempen, Guy Coheleach, Steve Kestrel, Kay Jackson, Lanford Monroe, Lindsay Scott, John Schoenherr, and Kent Ullberg. Depicting birds, mammals, and sealife from Africa, Europe, and North America, the works capture the beauty and rarity or their subjects.. 1st. Soft Cover. Very Good/Not Issued. Folio - over 12" - 15" tall. Art.